If you've ever tried to upload a very large image somewhere online, then you might be familiar with the pain and frustration of failed uploads due to image size restrictions. Or if you have your own website, perhaps you're already aware of how uploading large images can take up a lot of storage space and create painfully slow loading web pages. The web has become an extremely visual place, and while large image file sizes offer the best quality, they unfortunately cause a lot of problems for storage limitations and loading times. This is why minimizing the file sizes of your large images before you upload them can go such a long way. It might seem as simple scaling down the dimensions of your large images to substantially decrease their file size, but what you really need is an image optimizer tool that goes beyond resizing. The following list of tools will effectively compresses image file sizes while still retaining their visual quality. Compressed PNG files maintain transparency. Only supports PNG and JPEG images. TinyPNG is one of the fastest and easiest image optimizer tools out there. Despite its name, the tool works with both PNG and JPEG image file types, using smart lossy compression techniques to minimize file sizes. The tool works by selectively decreasing the number of colors in your images, which helps reduce the size and appears unnoticeable when compared to the original images. All you have to do is drop your image files into the uploader at the top of the screen (no account creation required) and wait. Upload individual images or do them in bulk (20 at a time with a maximum file size of 5 MB each). You might find that some images will be reduced by 85 percent or more! Compresses images without quality loss. Compressor.io is a fantastic tool that has a bit of an advantage over TinyPNG since it can be used to optimize GIF and SVG files in addition to PNG and JPEG files. It uses both lossy and lossless compression techniques to optimize images with high compression rates, helping users reduce their image file sizes by as much as 90 percent. The only downside to this tool is that a bulk image upload option is not yet available. Compressor.io provides an example of a compressed image with a slider that you can use between the original and the end result. Chances are you won't be able to tell the difference. Just click Try It! below the example image to start uploading your own. Limited to PNG and JPEG. Lower quality than other options. Optimizilla works quickly and seamlessly, using a combination of optimization techniques and lossy compression to reduce image file sizes. The tool works only with PNG and JPEG files, but you can upload a batch of up to 20 at a time. As your images are queued up to be compressed, you can click on their thumbnails to customize their quality settings. Once an image has finished compressing, you'll see a side-by-side comparison of the original and the optimized one. You can zoom in or out to get a closer look at both and adjust the quality setting using the scale on the right side. The difference in size is shown at the top of the image previews with a button just above that to download all images that were uploaded and compressed. Cloud service is not free. Free version has few features. Kraken.io is a freemium tool that's worth trying out if you're serious about image optimization and willing to pay a small fee for advanced optimization and high-quality results. With the free tool, you can upload images (from your computer, a ZIP file or a Box/Google Drive/Dropbox account) of up to 1MB in size to be optimized using one of three advanced optimization methods: lossy, lossless or an expert method with customizable options. The free version of Kraken.io might be all that you'll need, but premium plans are available for as little as $5 a month. A premium plan will allow you to upload more/larger images while giving you access to a wide range of advanced features like image resizing, API access, better use of the Kraken.io WordPress plugin and more. ImageOptim is a Mac app and web service that combines all of the best image compression tools to reduce image file sizes while maintaining the best possible quality. You can use this tool to customize the quality settings so that you have complete control over what kind of results you get. It uses lossy compression while giving you a convenient drag-and-drop feature to upload and optimize JPG, GIF, SVG and PNG image files. Totally free to download and also open source, one of the advantages of this tool in comparison to others is that it offers configurable lossy optimizations so that you can keep the image quality high at a larger size after compression or enable lossy minification if you're interested in getting the smallest file size possible. Lower performance than other options. If you run or work with a self-hosted WordPress site, you can combine the process of optimizing images and uploading them with this nifty plugin called WP Smush. It automatically compresses and optimizes every image you upload (or have already uploaded) to your site so you don't have to waste time doing it manually beforehand. Using advanced lossless compression techniques, the plugin works to optimize as many as 50 JPG, GIF or PNG files at a time in your media library. Set a maximum height and width for your images to be resized or take advantage of the premium plugin version for additional features. Another option for WordPress users is EWWW Image Optimizer—a comparable image optimizer plugin to WP Smush. 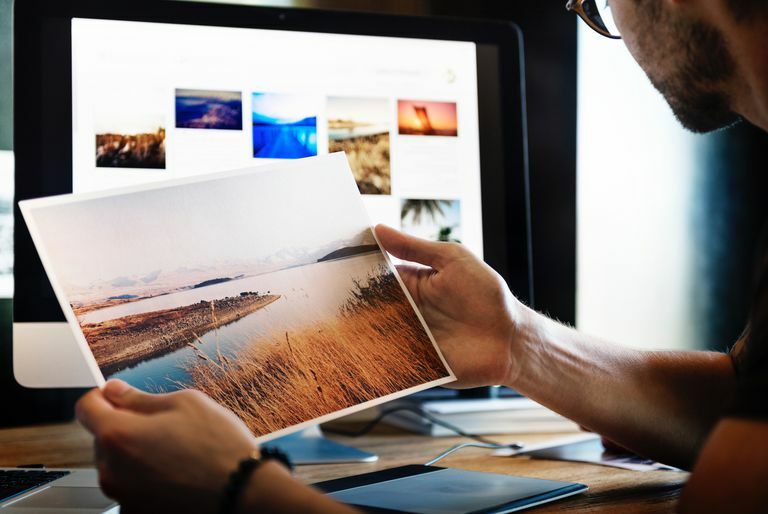 It will automatically compress and optimize any JPG, GIF or PNG files that you upload to your WordPress site and comes with an option for optimizing existing images in your media library. Like many of the other tools on this list, the EWWW plugin uses lossy and lossless compression techniques to optimize your images. You can configure a number of basic settings, advanced settings and conversion settings so that your images are optimized just the way you want.